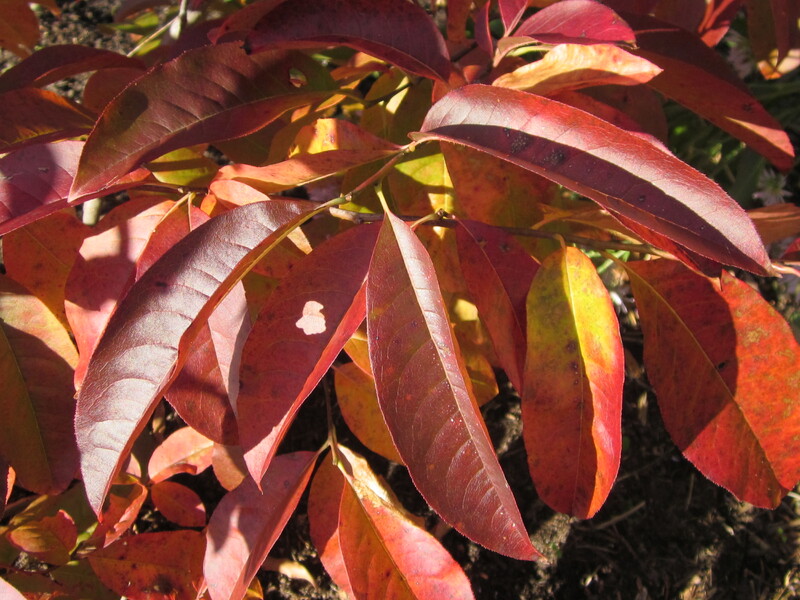 Fall foliage of Oxydendrum arboreum (Sourwood) in the Sunny Demonstration Garden. Though native to parts of the Mid-Atlantic Region,* Sourwood is more common in the South, including Virginia’s southern half. In residential landscapes, this decorative tree offers year-round appeal: lily-of-the-valley-like flowers, breathtakingly brilliant fall foliage, persistent fruit capsules and reddish color twigs. This entry was posted in MG in the Garden, Tried and True Native Plant Selections for the Mid-Atlantic and tagged Oxydendrum arboreum, Sourwood, Tried and True Native Plant Selections for the Mid-Atlantic. Bookmark the permalink.